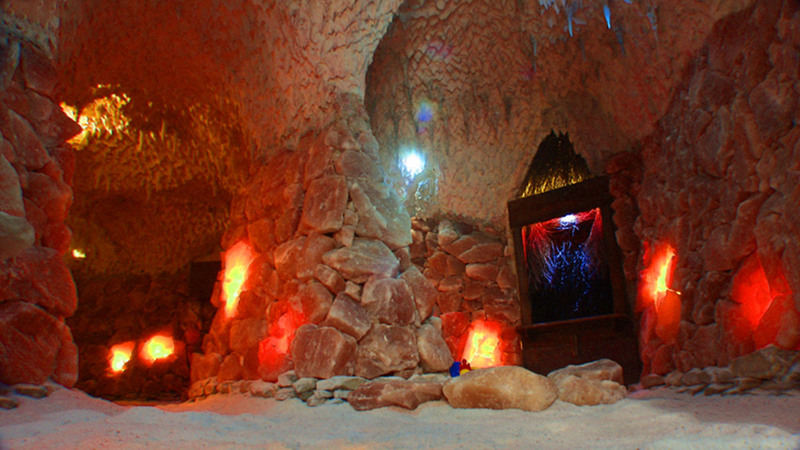 During the stay in a salt cave the body is exposed to the colour therapy effects, it means treatment with colours. It was discovered a long time ago that colours have a treatment effect on a human body – they warm up the energy or calm down, they can provide harmony and return balance to a person. Yellow colour – it limits stress effects and headache, calms down and helps against tiredness. Green colour – it has a very positive effect on nervous system, it helps against high blood pressure, increases self-confidence and calms down. Red colour – it stimulates and gives energy, increases pressure, it is a prevention against depression and it supports thinking. Orange colour – gives optimism, courage, regulates a heart function. Violet colour – it helps with sleeping problems, tension, stress and whole nervous system. Blue colour – it has very strong sedative effects, it limits pains after spraining and breaking bones. It is very popular to use treatment methods which create natural climatic conditions found in karstic and other caves and mines. 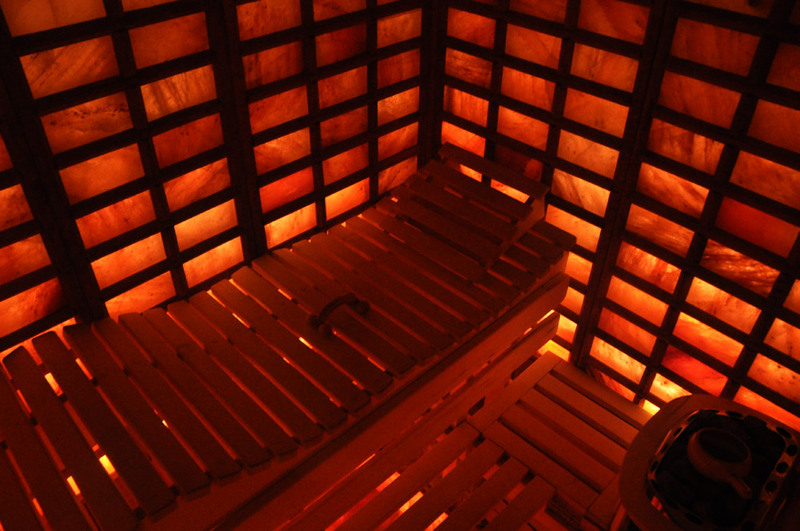 One of the most popular treatment methods of this kind is a speleotheraphy. It is based on a long-time stay in microclimate of salt caves or salt mines. This method is used for treatment of allergies and breathing illnesses because caves have a special and unique character. 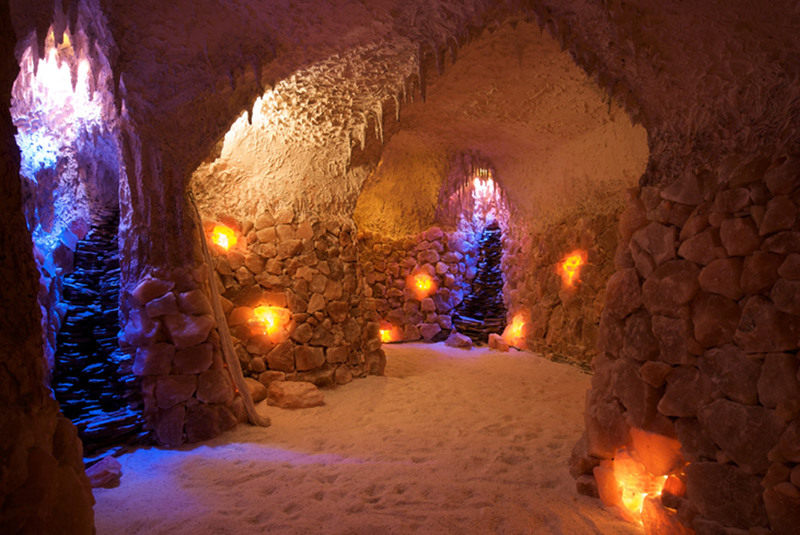 Halotheraphy is another of treatment methods which is possible to use during microclimatic stay in a salt cave. The ionization salt processes are used in this treatment. Salt ionizes air with a negative ions and it has a very positive effect on our mood.